The first Earth Day was celebrated in 1970 by some 20 million people in thousands of schools and communities around the nation. The idea was the brainchild of U.S. Senator Gaylord Nelson of Wisconsin. He hoped that a grassroots outcry about environmental issues might push Washington to actually do something to protect the environment. Earth Day soon blossomed far beyond the capacities of Nelson’s office staff to organize it; it became a full-blown social movement. And it worked; that year, grassroots environmentalists joined forces with progressive labor unions to pass landmark regulation that really did make the nation’s waterways, air, and workplaces cleaner and healthier. It’s a model Bill McKibben is following with the movement he founded, 350.org. The name refers to the level of carbon dioxide in the atmosphere that must not be surpassed if we are to preserve the planet we were born into. But we’ve already blown past it — it’s now close to 390 ppm. That’s already changing the planet, causing hundreds of thousands of deaths worldwide, economic havoc, mass migrations, and threatening food and water supplies. McKibben says we already live on a different planet — he calls it “Eaarth,” spelled with two A’s to show that, while it might look the same, we’ve already changed it. 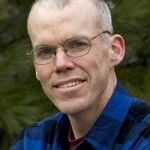 In addition to EAARTH, Bill McKibben has authored many books, including DEEP ECONOMY, which we spoke to him about several years ago on this show. Over his 20 year career as a public relations professional, James Hoggan has promoted the brands of numerous companies. He knows how words and framing influence public opinion — and how some in the public relations industry promote harmful ideas in service to the corporations that hire them. So when some scientists and so-called grassroots groups began denying that human-caused climate change is happening, Hoggan smelled a rat. He decided to follow the money and expose what he calls the climate denier industry. He started the blog, DeSmogBlog.com and co-authored (with Richard Littlemore) the book, CLIMATE COVER-UP: The Crusade to Deny Global Warming. 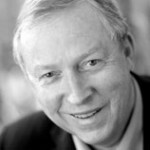 James Hoggan cofounded the Suzuki Foundation Business Council on Sustainability. He’s also a Trustee of the Dalai Lama Centre for Peace and Education.